dramatic meetup of me and THE David Guison. Yeees. Hehe! ...especially this. :) Excited to buy something! 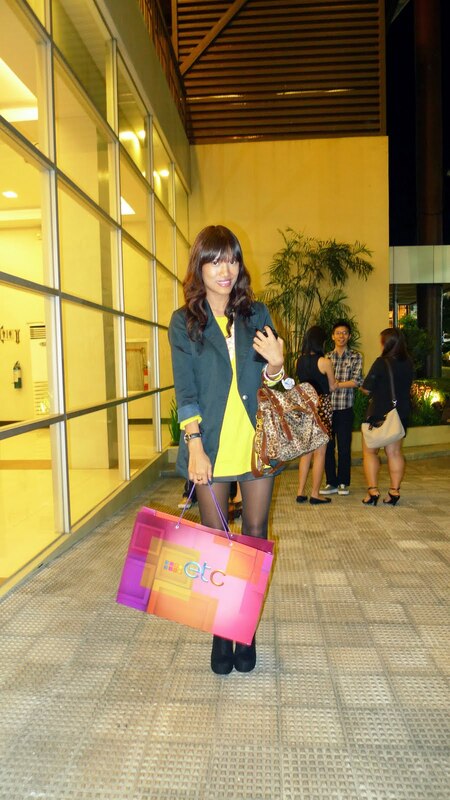 Last Monday, I also had the chance to attend ETC's big switch (apparently to RPN-9) event at A.Venue Makati. Aie asked me to come since it would also serve as a mini meetup/meeting between me and ETC's Kate Ocampo (her friend). Kate is the kind soul who'll help us promote the Bloggers Bazaar, and she's gonna cover the event!!! How cool is that? Anyway, we got to enjoy some good food and good looking people. Haha. my girl crushes are dj-ing! hello tyra bangs! haha. ANTM booth. at school with Aria--chos! lol. At the Pretty Little Liars booth. waiting for barney. hehe! at the how i met your mother booth. Love the bar ha! Weee loot bags! :) After this shot, Kate had us interviewed on camera! Waaah! Stage fright, lol. Wanna know what's inside the bag? 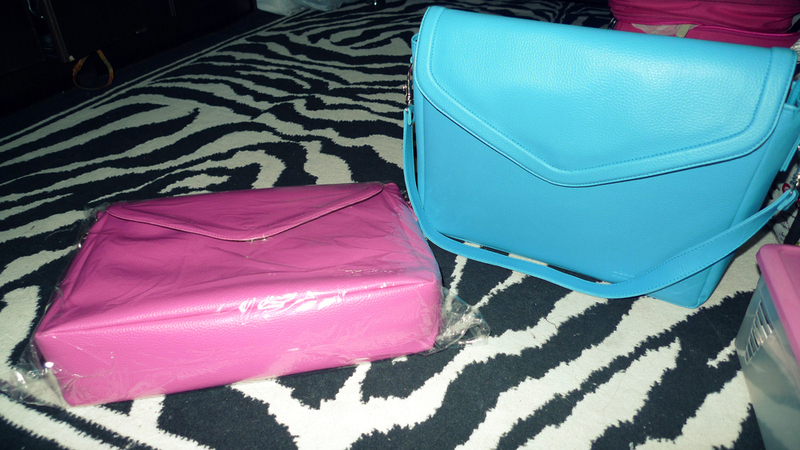 Gorgeous laptop bags for me and mich. :) Anyway, I'm so glad I'm slowly starting to catch up with my posts. Goodbye backlogs--soon! P.P.S. On Stylebible! :) Click HERE. you so firece on that runway booth from antm! i love the way you carry yourself.